He came, he saw, and was conquered and subsequently forced to withdraw the controversial lawsuit in which he was asking Nigeria's Supreme Court to set aside its earlier judgment that ousted him as governor of Anambra State. In a notice of withdrawal of appeal filed at the registry of the Supreme Court on Thursday, May 7, 2009, Mr. Taiwo Obe, Counsel to Emmanuel Namndi “Andy” Uba, claimed the appellant was withdrawing the appeal. But if anyone had thought that Thursday's action would mark the end of Uba's long-running legal battle to reclaim the Anambra Governor's mansion, then think again. The withdrawal of the lawsuit, Huhuonline.com has learnt from credible sources, was a tactical ploy by Uba who has now embarked on a mission of self-redemption to burnish his democratic credentials and endear himself to the electorate ahead of the 2010 Anambra gubernatorial poll. The decision to withdraw the lawsuit which has been hailed as an act of statesmanship even by Uba's critics, is just the first step of a major public relations offensive launched by Uba that will culminate in a massive rigging of next year's Anambra gubernatorial elections, a source within the PDP told Huhuonline.com. The strategy seems to be working as Uba has received messages of support from even his critics who naively mistake the decision by Uba to withdraw the lawsuit as an act of statesmanship. One hitherto anti-Uba group; the Anambra State Association USA (ASA-USA), said in a congratulatory statement: "we thank him (Andy Uba) for that as we encourage him to prepare to run and win a free and fair election come 2010." Also reacting to the withdrawal of the appeal, the National Chairman of the All Progressives Grand Alliance (APGA), Chief Victor Umeh, hailed the decision as a sound one that would go a long way in preserving the sanctity of the Supreme Court. He said: “We welcome the development. The withdrawal of the appeal by Andy Uba will go a long way to restore the sanctity of the apex court.” News reports also quoted former Anambra state Governor, Chris Ngige congratulating Andy Uba for withdrawing the appeal, saying Uba's decision shows that he is a leader with strong democratic credentials and someone who believes in Democracy and President Yar Adua's new mantra of respect for the rule of law. Hints that the lawsuit withdrawal was more of a tactical retreat than surrender were dropped by a spokesman for Uba who was quoted by press reports as saying the action would not mark the end of the matter which seeks Uba being declared as “governor-in-waiting”. In the likely scenario that the 2010 gubernatorial elections eventually makes its way back to the apex court, pundits argue that Andy Uba has history and the law on his side. For one thing, Andy Uba still has the Certificate of Return issued by INEC as the winner of the April 2007 election. Neither the Supreme Court nor the Enugu Appeals Court that ruled on the election tribunal cancelled the election or asked that INEC revokes Uba's Certificate of Return. In its ground-breaking landmark ruling, the Supreme Court on June 14, 2007 reinstated Peter Obi as Governor of Anambra State and ordered Uba to vacate the Government House arguing that Mr. Obi's tenure would expire on March 17, 2010. The apex court in the unanimous decision of seven justices of the court berated INEC for going ahead to conduct elections into the office of the governor of Anambra state when the said seat was not vacant. Citing the provision of Section 180 (2) of the 1999 Constitution, the court in the lead judgment delivered by Justice Kastina-Alu held that “there has been no dispute that Governor Obi took his oath of office on March 17, 2006, his tenure of office shall expire on March 17, 2010. INEC admitted that it was aware of the pendency of the suit and still went ahead to conduct an election into an office that is not vacant. Peter Obi had gone to the Federal High Court in Enugu seeking amongst other declarations: that the four- year tenure of office of the Governor of Anambra State began to run from the date he took the Oath of Allegiance and Oath of Office being the 17th day of March, 2006. Peter Obi lost both at the Federal High Court and the Court of Appeal in Enugu. Not satisfied with the decision of the two courts, he consequently filed an appeal at the Supreme Court. After considering the appeal of Obi, the Supreme Court in a unanimous decision on June 14, 2007 ordered Uba to immediately vacate the Anambra governorship seat for Obi whose tenure as governor was expected to lapse on March 17, 2010. 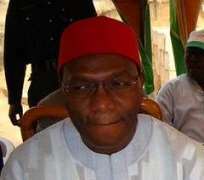 Dissatisfied with the apex court's ruling, Uba went back to the Supreme Court asking it to review its decision and return him back to office as Anambra Governor as, according to him, the notice of Obi's appeal was not filed at the registry of the Federal High Court, Enugu but at the registry of the Court of Appeal, Enugu Division which he contended was an error in law and vitiates the judgment of the court.